Perched in the midst of serene nature for a breathtaking view of a never-ending expanse of green tea gardens. A 6 room cottage right in the bosom of a green valley. 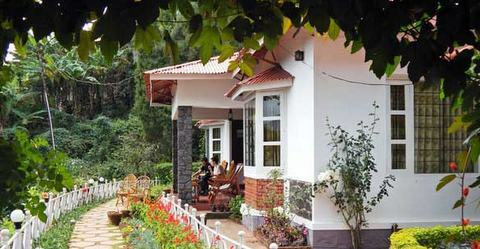 When you are coming to Munnar to have a most enjoyable vacation, Valley Resort is a ideal place to stay. Located right in the heart of a green valley, Valley Resort opens to a breathtaking view of a never-ending expanse of green tea gardens. Nestling at the foot of a mountain, a playful breeze meanders through the whole valley. It is cool during the day and cooler during the night, with a nip in the night air. Valley Resort is well designed and fully ready to offer you all the comforts that will make your stay there a memorable experience. © Munnarcottages.in All rights reserved.